Facing problems at the beginning period with dogs are common. 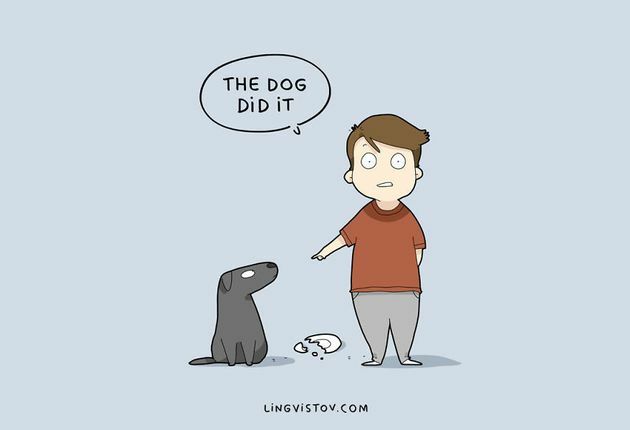 Dogs are best known for their intelligence, but unfortunately, during their upbringing many dog owners has to flounder a lot. You might find a new dog bit annoying at starting phase, but with proper training and guidance, you can bring a better version out of them. 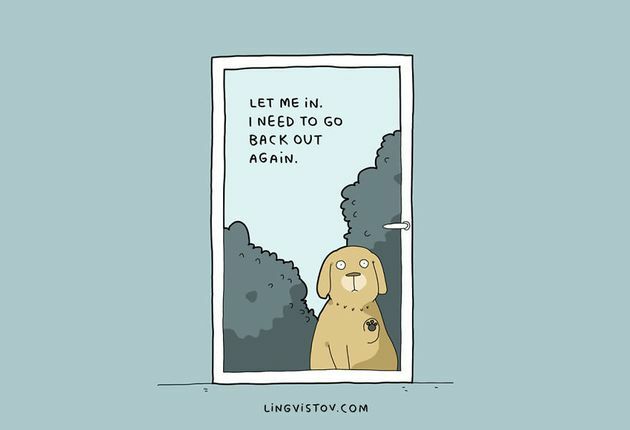 These doodles from an artist Landysh of Lingvistov are an absolute sum up of all the feels that come when a person starts living with a dog. Being a dog owner myself, I know how difficult it’s to deal with your dog’s hair. Hardly you will find any corner left at of your house where their hair does not stick to anything. 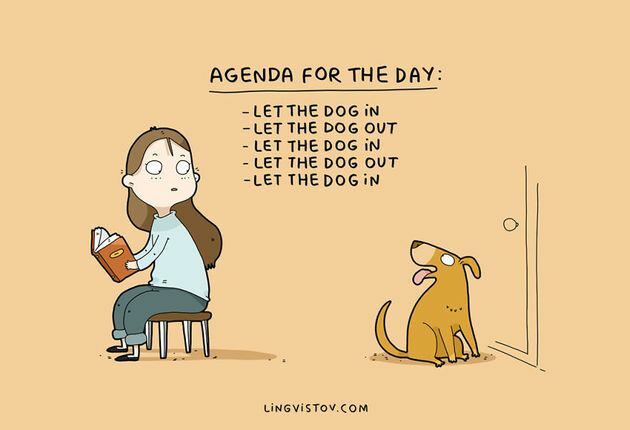 This is another fact, to which any dog owner will completely relate. Dogs usually use to be very active throughout the day; they have a very light sleep. Even a nano sound rouses them up. Their favorite place of rest is in your lap or in the bed beside you. They look so cute in their sleep that you don’t want to disturb them and so, you stay in the same position till they awake. 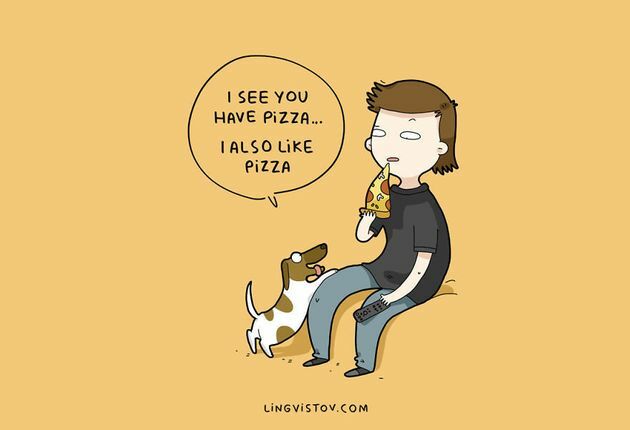 They follow all the places wherever you go, even they want to eat all the things that you eat. The will be keep staring you all long until you give them their piece of share. Even if you don’t offer them any share, they will still stand to see you until the last minute you end your meal. 4. All day and every time! It becomes your daily habit to take them out and take them in throughout the day. .. until their poo time, it’s all In and Out! 7. 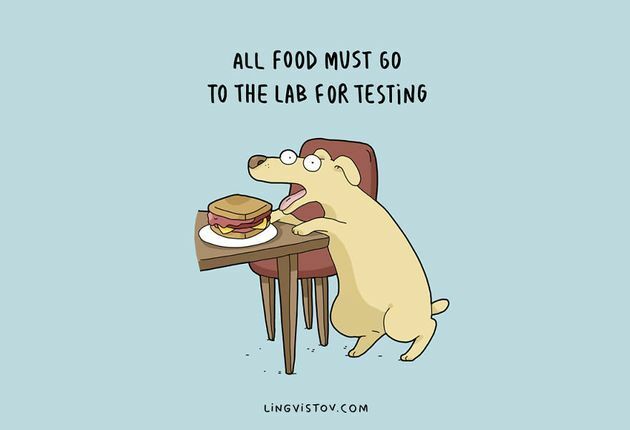 Dogs are full of surprises! See how cute they are, even if they haven’t done anything they still stand in your favour! Dogs are the most trustworthy friends one can ever have in their life. Trust me if you are planning to buy one, I would say, without any doubt just go ahead.